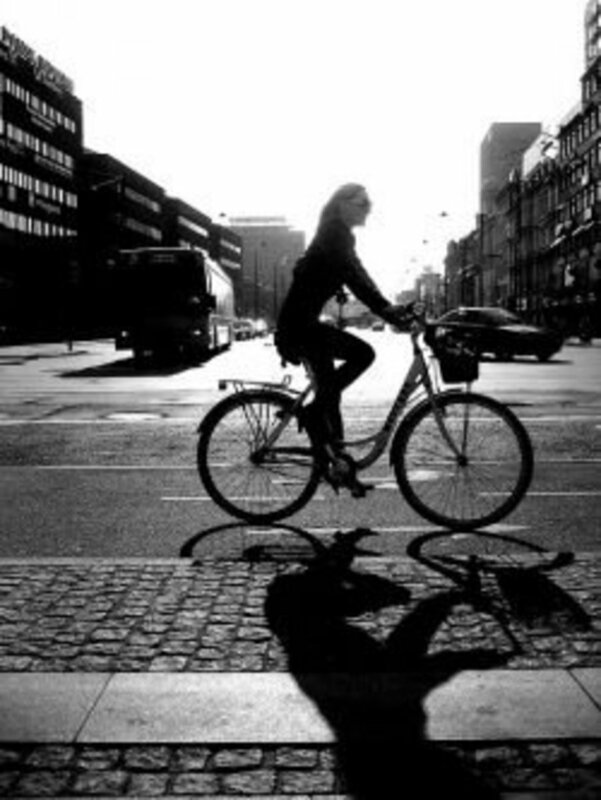 I love travelling and I love cycling. Put the two together and I believe you have the perfect travel package. I love adventure. Relaxing for two weeks on a beach has never really appealed to me. No doubt, I have been to many amazing beaches for a chill, but I always have that sense of adventure within me. And it’s that sense of adventure that energised me to cycle across England one time. I had a couple weeks before my new contract started and so I decided to experience England the best way possible. With everything packed on my bike: tent, sleeping gear, stove, crockery (all for emergencies), clothes and of course waterproofs, I cycled to the train station and caught an early morning train up to the Lake District National Park in the north west of England. I don’t know why I started there; it just seemed like as good a place as any. My first stop was Lake Windermere and my first day was spent checking into my hotel and nonchalantly cycling around the famous lake, taking in the fragrant summer air. At more than 10 miles long, it is England’s largest lake, and even though the sky was charcoal grey, the setting was stunning. I didn’t cycle too far as I wanted to save myself for long, hilly rides that would be confronting me in the coming days, so I just chilled soaking up the aquatic atmosphere, watching the windsurfers, with a beer or two. The next morning, I awoke to see the weather was dry but with a threat of rain. So, with everything packed and the darkest of grey clouds taunting me, I set off towards Kendal for some of its famous mint cake. After stopping in Kendal for some supplies, I was back off, heading southeast towards the Yorkshire Dales. 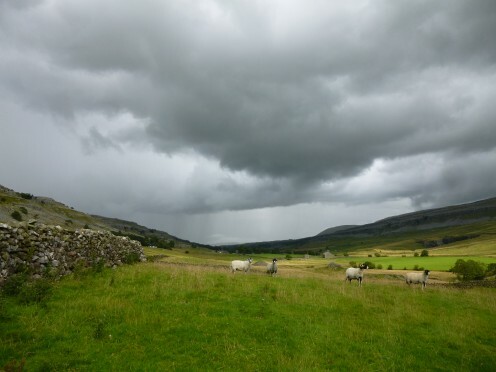 The Dales are a wondrous national park of rolling green hills and alluring, little Yorkshire villages dotted throughout the park. It is probably my favourite part of England and if you’ve never been, I definitely recommend it. 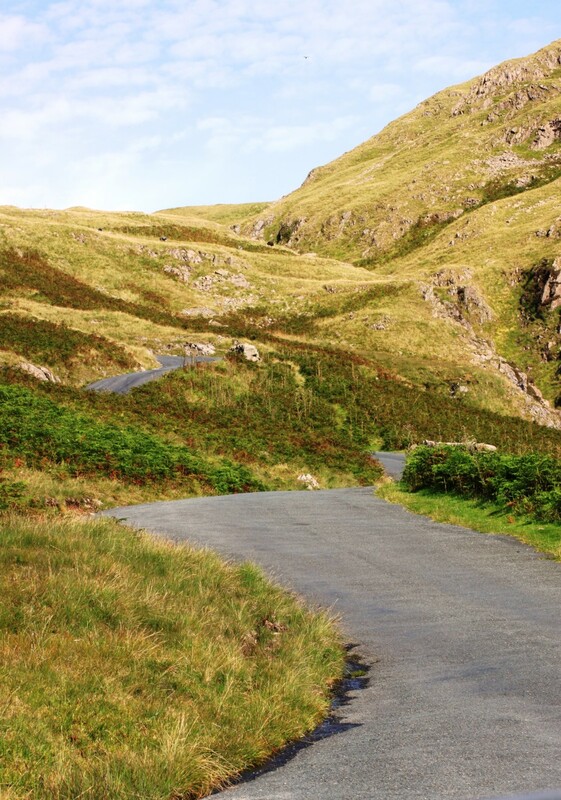 As verdant and resplendent as they are, however, some of the dales are steep and not for the faint hearted, especially if you’re carrying 15kg of weight on your bicycle. The undulating hills rolled up a bit to steeply at times, and the descends seemed to pass by in a flash. It was tough going, but with the grey clouds dispersed and the green and open landscapes far and wide, it was so worth it. The challenge in that first day was a wake up call as to what was to come, but no matter how slow and long some of the climbs were the ubiquitous backdrop made the work plain sailing. My only plan for the first day was to cycle into the Yorkshire Dales. I didn’t know how far I would get, so I didn’t make a target. After about six hours and about 40 miles of unforgiving hills, I decided to find a field and set up camp. It was easy to find, but my first night camping was a lonely experience, at first. I have camped many times, at campsites and music festivals, but never in a random field on my own. I set up camp, regardless, got my stove out and my ‘tin of dinner’ and ravished it like it was a Michelin starred delight. The emptiness only hit me when I started to set up camp. Cycling all day was perfect, and I loved it, but the solitude of only me being in that random field affected me. After dinner, I just relaxed in my tent and thought of all the positives of the day until I drifted off. The next day was as sublime as the day before. 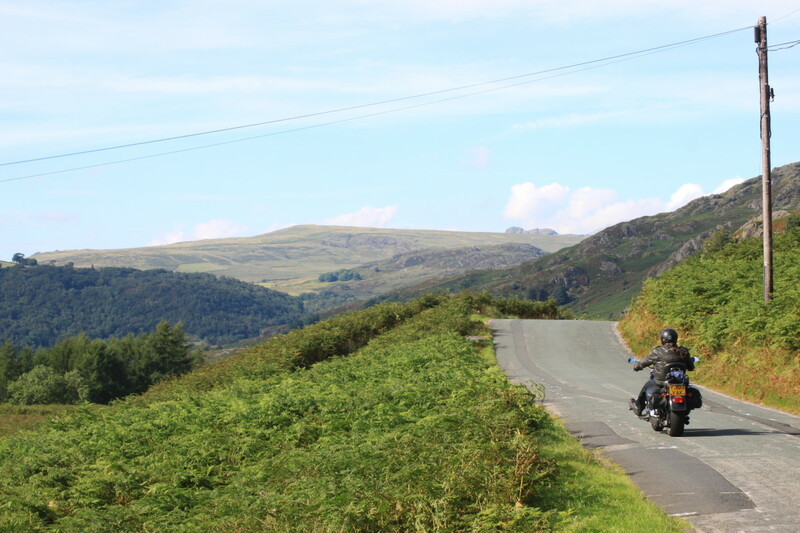 With the sun beaming on the irradiant dales, I just vagabonded my way up and down soaking up the perfect atmosphere, stopping at the odd unconscious village with all the British traditions of the red telephone and post boxes, and classic Bentleys. The rusticity was authentic and it really made things easy. I finally stopped at a village called West Burton, found a Bed & Breakfast and relaxed for the rest of the evening. I only did about 25 miles that day, but zigzagging my way through the uneven terrain of the Dales, it wasn’t bad going. I had a mouthwatering Roast Beef and Yorkshire Pudding dinner, which was a massive upgrade from the previous night. Washed down with a beer or two, it was a perfect way to end another great day. After pampering myself with a proper bed and filling myself with a Full English breakfast the next morning, I was ready for a big day cycling. I headed south from there and finally came out of the Dales and passed by Skipton, Ilkley and Harrogate, where I stopped off to get a Turkish Bath in the town’s natural spring baths. After a couple of hours networking between the hot rooms and the cold plunge pool, I was ready and refreshed, and so I made the short 15-mile trip to Leeds where I stayed the night and picked up my buddy who was joining me for the rest of the trip. Leeds had recently hosted Le Grand Depart of the Tour de France in the city, which was a big event. 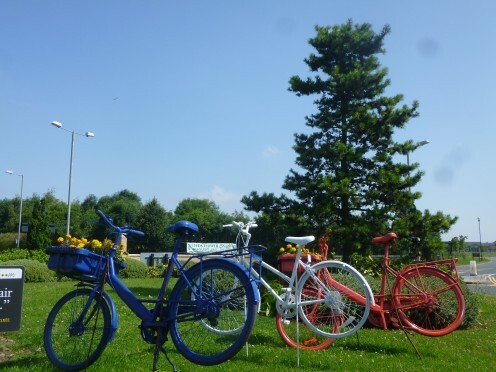 To celebrate the event, the council had put many red, white and blue rustic looking bikes around the city, which somehow made the cycling experience more intimate. The next morning was a blistering hot day. Well, it was blue skies and about 25c, which is a heatwave for Yorkshire. And so, with my new cycling partner in tow, we headed southwest through the Peak District National Park in search of our target, Glossop. By the time we got to the Peak District the weather had changed and the heavens had opened. We found shelter until it subsided. I could see my friend was wondering what she had let herself in for. It was the first time it had rained for me, and it did spoil things a little, but it soon stopped and we were back on the road. We were lucky it stopped so quickly because our jaunt that day was a long and exhausting one, especially over the Peak District. Glossop was a little out of our way, but we had a date, of sort. We found somewhere to stay the night, free of charge. The host family put us up with a bedroom to ourselves, and even cooked us a meal, which was washed down with two bottles of wine. We found the host on a hosting website called www.warmshowers.org. It’s a bit like Airbnb, but this is only for cyclists and hosts usually put you up free of charge. They might offer their front lawn to camp on and a shower, or if you fall in lucky you might get a bedroom to yourself, a cooked meal, and plenty of wine, like we did. It was a great experience, and one that I’ve done a few times since. The next day was hard. At first anyway. Drinking two bottles of red wine before cycling 50 miles through the Peak District isn’t one of my smartest of moves. Especially when it’s kind of guaranteed that its going to rain. The Peak District is punishingly picturesque. The dense green and ragged hills make for a challenge, but when you’re trying to shake off a hangover while facing a deluge of rain, it doesn’t make for the most pleasant of experiences. I could sense my friend’s frustration at the weather. I was frustrated, too. The rain wasn’t that heavy but it was typical, English rain that just sticks in the air and keeps you feeling clammy and wet, especially when it’s still warm. But we were determined not to be subjugated by the weather and so we persevered. By the time we got to the southern end of the Peak District, the blue sky had taken control and like the wet and sodden roads of earlier our hangovers had desiccated. After stopping the night in a B&B at the southern tip of the Peak District we were ready for the midlands. 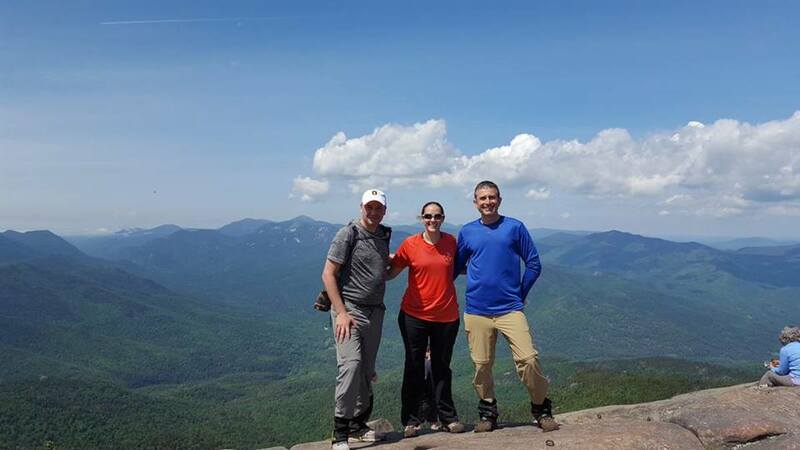 From there on the terrain was relatively flat for a few days. The flatness was most welcome and with the weather on our side, we rambled our way through the B-roads of Middle England. We were cycling through Meriden, a village that is in the dead centre of England, and with the weather again picking up, our spirits followed. However, just as we were making mileage my pedal snapped off. Now, I had supplies and was prepared with spare tyres and stuff but not a spare pedal. We were trying our best to fix it, but it was impossible, and with not much going on in Meriden especially after 6pm, we decided to look for a field to camp in. Then, just by luck, the nicest of women stopped in her car, asked us about our troubles and started ringing around the bike shops in the nearest town about 15 miles away. They were all closed, so she invited us to stay the night in her summerhouse, she fed us and gave us as much wine as we wanted. It was incredible to witness how kind random people could be. The next morning, she drove me into the nearest town to buy a pedal, and if that wasn’t enough she had made us a packed lunch for the two of us. 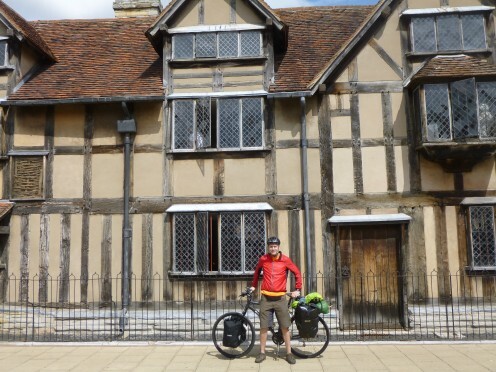 We were back on our way and before long we were cycling through Shakespeare country. Stratford-Upon-Avon isn’t quite the remote village it was back in the days of Shakespeare and co., but it’s still a quaint and beautiful little town. Shakespeare’s house that he lived in is still there and is a must for any literature lover. It’s now a museum and it’s fascinating to walk around the house and experience how the Bard lived. What was just as fascinating, as well, was the graffiti that had been engraved in the windows of the house. They had been taken out for safety purposes, I expect, but were on show inside. Some of the vandals had inscribed and dated their presence with the popular ‘I was here 1793’ graffiti tag. All the “graffiti” was from the eighteenth and nineteenth century, and as vandalish as it was, it was intriguing to see. The next morning we headed off and kept going through some spectacular, scenic routes through the midlands and then down into the Cotswolds. 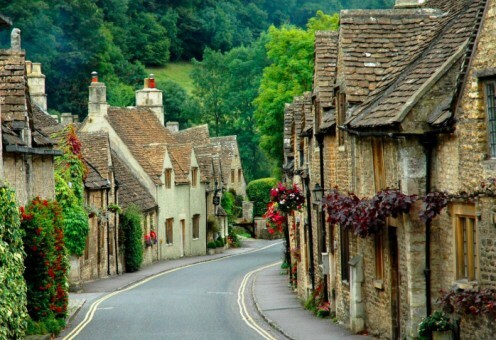 Without being clichéd, the villages in the Cotswolds are quite simply quintessentially English. The scenery in the national park is as arcadian as anywhere, and the thatched-roof cottages that are sprayed throughout the park make for an enchanting cycle. We cycled through the Cotswolds before ending up in Cheltenham. Here we found a random field to stay in, which overlooked the whole city. It was my friend’s first experience of staying in a random field. For me, it wasn’t as lonely as my first experience, however. Maybe the backdrop of the city, along with a couple of beers and an upgrade of my tinned dinner, and of course being with company helped. Another day spent easing our way through the southern tip of the pleasant backroads of the Cotswolds was had. The villages there are ubiquitous yet unique. Even though I’m English the feeling of being in England is never more authentic than when you’re meandering through the Cotswolds with the mid-summer smell and the late nights. Just as we thought things couldn’t get any better, we were lucky enough to cycle past what turned out to be the best fish and chips shop I’d ever had (big statement!). Fish, chips and curry sauce: a perfect way to end our day. The next day was our final day of any real distance. We had made Bath our target and so after a few hours of cycling we eventually made it to the Roman town. The strangest thing happened to me after we checked into the hotel. 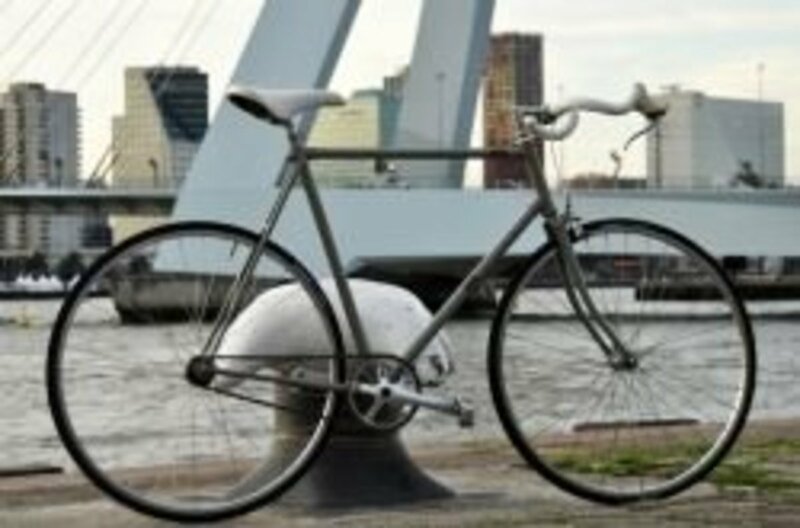 I had only ridden my bike with 15kg of weight for the past ten days or so and after I put my bags inside and tried to cycle into town, I couldn’t handle the lightness of the bike. 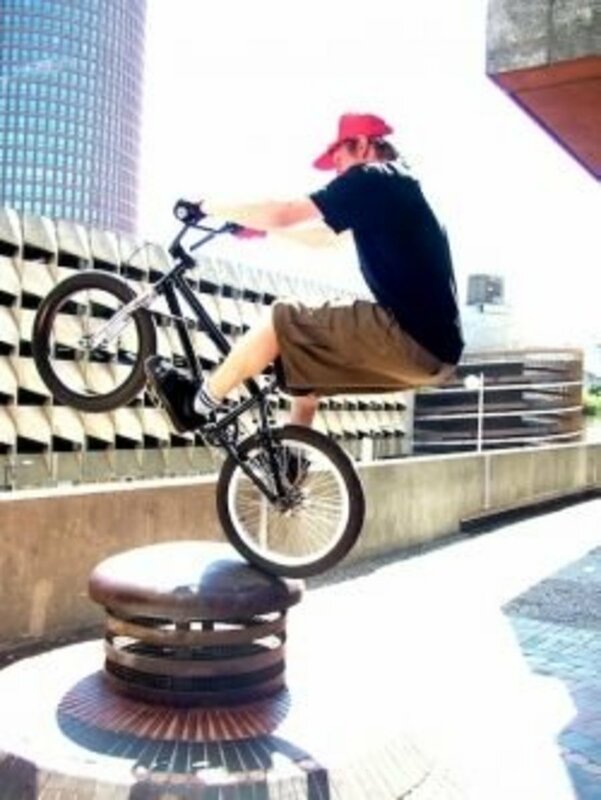 I was all over the place and for about five minutes, I could hardly balance the bike. Eventually I took control of my nimble two-wheeled friend and we rode into Bath to enjoy our last day. With its Roman Baths and the theatrical Royal Crescent, Bath really makes for a vintage, English experience. It’s a small town, but so easy to spend a few days there. Unfortunately, we had to catch the train back the next day, but loaded with glorious memories, I knew it wouldn’t be long before I hit the road again. Thanks, Lorna. And yes, I definitely recommend cycling anywhere really. For me, it’s the best way to experience a place. 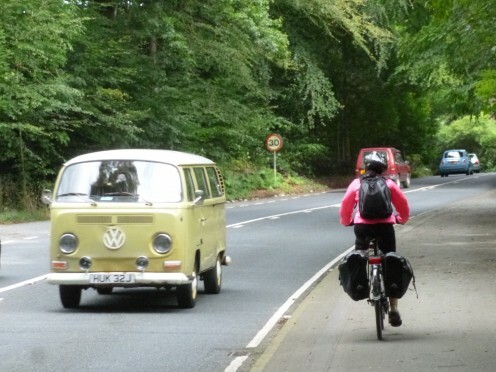 I really enjoyed this article and I will certainly consider cycling the next time I decide to travel within Britain.